. يعمل Settlers Motel على ضمان إقامة مريحة لضيوفه من خلال خدماته الممتازة وحسن ضيافته. يمكن لضيوف الفندق الاستمتاع بالميزات التالية على أرض الفندق: واي فاي مجاني في جميع الغرف, مرافق مخصصة لذوي الاحتياجات الخاصة, واي فاي في المناطق العامة, صف السيارات, خدمة الغرف . ادخل إلى واحدة من الغرف 15 وتخلص من عناء نهار طويل بمساعدة مجموعة كبيرة من الخدمات كمثل تلفزيون بشاشة مسطحة, اتصال لاسلكي بالإنترنت, اتصال لاسلكي بشبكة الإنترنت (مجاني), حوض الاسترخاء, غرف لغير المدخنين الموجودة في بعض الغرف. صممت خدمات الاستجمام في الفندق والتي تتضمن حديقة لمساعدتك على الاسترخاء والراحة. اكتشف مزيجاً ساحراً من الخدمة الاحترافية والخيارات الواسعة من وسائل الراحة والمتعة في Settlers Motel. Very well maintained unit, clean comfortable and sound proof. The best motel we have stayed in for some time. Whenever we go to Hanmer our first choice is always Settlers. If we can't stay there we usually rethink as to whether we go to Hanmer or not. As a couple, we find Settlers Motel ideal in that it's within easy walking distance of everything, it's attractive, warm, clean and generally quiet. Top spot. We loved it here! !Very comfortable bed that we made good use of,relaxing spa bath & very good kitchen. Can only give this motel a 8 out of 10 because even though the parking spaces were wide the car park is very tight to get in& out of. Excellent customer service, free laundry services, free movies, excellent knowledge of the town. Would highly recommend. Out of the 10 Motels we stayed in, this was by far the best! We booked at Settlers because our first visit in 2011 was just so good. We were not disappointed as standards have not dropped. The room was immaculate, spacious and well serviced. It is only 5 minutes to walk to the town centre and the hot spring pools. The welcome we had on arrival was really friendly. We would strongly recommend this place to anyone. Wonderful motel, such friendly helpful reception. Large rooms , clean and modern. The only thing was there were no curtains , only blinds in the front bedroom and the outside light was on all night shining on my face, I didnt sleep. Very satisfied with our stay at Settlers Motel. 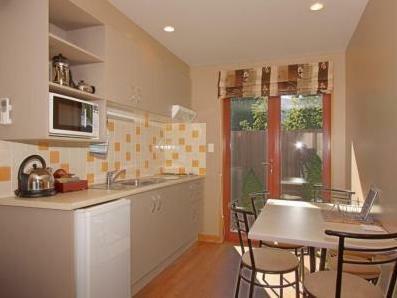 Clean, cosy and comfortable unit and very accommodating hosts. Location is handy within 5 minute walk to the short walk to the Hanmer Springs Thermal Spring and Spa as well as other attractions and cafes/restaurants. 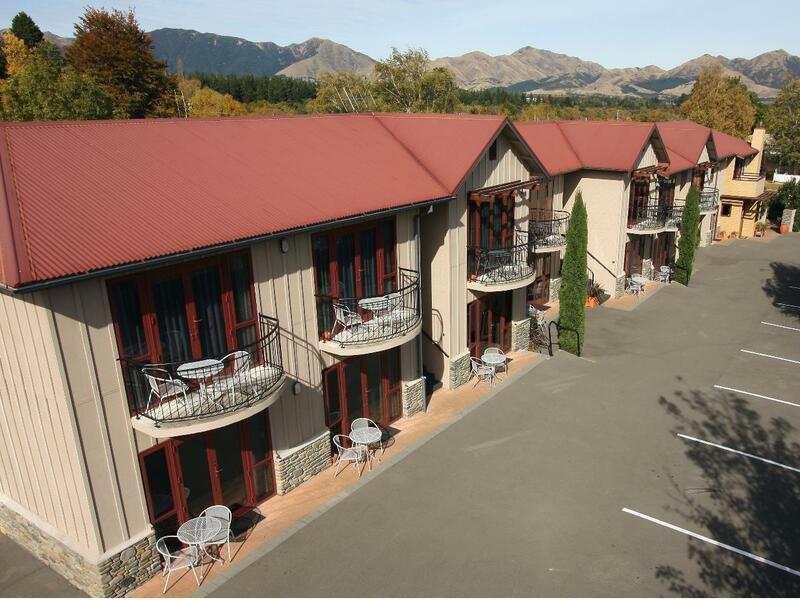 Highly recommend this neat motel to anyone and everyone visiting Hanmer Springs. Good little motel unit on a stopover during our trip south. Bed wasnt exceptional - but ok just for one night. Rooms fitted out nicely, my only complaint would be cleanliness - dishes in kitchen not very clean and hairs from previous guests behind bathroom door but the rest was clean and tidy. The room is spacious and clean. The motel is close to thermal pool and city center. It was a wonderful stay over there, with free washer and dryer use. Hanmer Spring Pool was just a stonethrow away. Hotel staff were patient and thoughtful. We loved our stay there! We had a great break and will probably stay again next time we're in Hanmer Springs. Good room, nice extras, great location. I recommend having an upstairs room with abalcony, though if a flight of stairs are an issue, you'll be happy downstairs too. Vivian and Peter were great. The laundry facilities and the quiet. Very nice. Owners were welcoming and helpful.